The intended audience of the textbook is first-year undergraduates taking courses on the principles of macroeconomics and microeconomics. Many may never take another economics course. We aim to increase their economic literacy both by developing their aptitude for economic thinking and by presenting key insights about economics that every educated individual should know. We have written a fundamentally different text for principles of economics, based on two premises: Students are motivated to study economics if they see that it relates to their own lives, and students learn best from an inductive approach, in which they are first confronted with a question and then led through the process of how to answer that question. 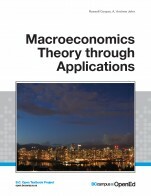 Macroeconomics: Theory through Applications by Russell Cooper, A. Andrew John is licensed under a Creative Commons Attribution-NonCommercial-ShareAlike 4.0 International License, except where otherwise noted. Yes, it covers most areas of typical introduction to macroeconomics. However, I am not sure it provides an effective index and glossary. The order of contents was not familiar and even confusing at some points. 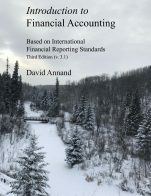 Students and instructors who have used other textbooks with standard orders (data of macroeconomics, long-run analysis and short-run analysis) would feel uneasiness to follow the flow of this textbook. A few chapters (e.g. growth accounting) would not be appropriate for 1st year student. Yes. In particular, they did their best to minimize debates and biased opinion. Content is up-to-date, which would be strong points for this textbook. However, it would be better to have more Canadian data, which would take some time to arrange/revise. Not really. Adding separate sections (either at the end of each chapter or at end of textbook as a glossary) of explain definitions and terminology would make the textbook more comprehensible. It is consistent in terms of terminology, but not sure of framework. The authors try to be unbiased [not standing on either New Classical or Keynesian), but then the framework of the analysis/contents gets not-solid at some points. Connections among each chapter seems to be weak and disconnected. A few chapters seem to be disconnected and instructors would have difficulty with adapting or rearranging the content by sections. Disruption to the readers would be another challenge. Yes. The textbook was written on topic-based approach, so that the topic was presented in a very logical within each chapter, but questionable across other chapters. The review copy was very much early draft and images and charts would need lots of work to make them more readable, including re-sizing and coloring. It seems to have no grammatical errors. A few wrong numbers or unmatched numbers were found in toolkit. It was neutral. It actually emphasized multi-cultural aspect in a globalized economy. The textbook try to capture the interest in understanding events and developments in a globalized economy. It presents economics in a way that is modern and based in the real world of business and economic policy. 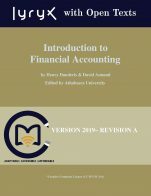 Compared to other textbook in the market, this textbook has more up-to-date data and references with web-links, which will be competitive points. However, its clarity and comprehensibility are questionable. Readability will be an issue in terms of logic and flow of building policy analysis tools, which must be key learning points. Including more Canadian data and revising visual data (graphs, images) would improve comprehensiveness of this textbook. The book is quite idea-oriented and suitable for entry-level undergrad to read to get a first picture of how macroeconomics looks like, a vast variety of real-world examples are provided. So in that aspect, the book is quite comprehensive. However, if viewing it as a serious theory text, the book has some missing pieces. It emphasize a lot on labour market and monetary market, but doesn’t talk much about business cycle and growth theory in general. Yes, this aspect of the book is great. The charts and tables in the book drawn from very recent data from official resources, which is the most error-free data most economists could possibly get. On the other hand, when it comes to a macroeconomics text, it’s hard to judge “unbiasedness” since different stories could be told to explain a certain phenomena. This text attempts to explain economic stories in a classical way, assuming no frictions in market decentralization. It’s still a standard approach in the industry though some supplements could be added. Yes. Especially the reader could replicate the charts and tables from official data resources using public data. Most of the data in this text is up to year 2010, which is an unavoidable time constraints on the text. But provided the source of the data, the reader could extract charts later by themselves to verify the correctness of the text. Theories will always at the end of the day be outdated, but not in a short period of time provided the classical framework of this text. As an undergrad macroeconomics book, this book is very intuitive and easy to understand using quite plain language. Just like what the author says, “application ahead of theory” is a main feature of the book. In each chapter, plenty of real-world macroeconomic examples are given before jargons and formal theories are stated, so that the readers could understand clearly what’s going on in the technical part. In general, the text is quite consistent within itself. It’s a standard undergrad version of treatment of education in neo-classical economics where market clearing and flexible prices are assumed in most part of the text, so the reader could understand the logical statement within the neo-classical framework. On the other hand, the author also supplements in the later part of the text what it means when sticky price and wages comes in, and its potential alternative policy implication in terms of the Fed, but didn’t go too far into the Keyesian framework. Therefore, it’s quite inner-consistent. Yes. There’re plenty of subheadings ahead of each paragraph, almost no enormous blocks. And the author tries to avoid mathematical notations in economic models so that the equations are described mostly in words, which helps to replicate into other contexts. As a matter a fact, I think there could probably be more detailed explanation for each concept in a paragraph to give readers much deeper understanding of the concept, and some notations could be given to avoid repeated words. Yes, this part of the text is very good. In each chapter, the author separates it into small subsections, where learning objective is first stated, then comes with some motivating examples. After citing concepts and provides more examples to support the argument, a “check your understanding” part is given to help reader verify they have got what they are supposed to learn. Moreover, there’s links to different part of the book and citations when needed, which makes the text very clear in general. The text doesn’t have major interface problem. Most links are navigated correctly, though I think in some part, the display could be reorganized to make the text more beautiful. For example, the font size of the links could be smaller since compared with the title of the link, it’s less important in the book itself. Also, some tables could be organized in the middle instead of left to give a unified display. No, the English gramma in the text is great. The author’s writing language is also easy to understand, and I think it’s for international students whose English is not first language, this text doesn’t cause barrier to read. Just like any other economics textbook, more US examples are provided than examples from other countries, which is unavoidable provided that most modern economic theory are aimed at explaining developed countries’ issue. However, the author also considers examples from developed countries when he talks about poverty and international spillover issues, which is enough coverage. Yes. Though the book provides many examples on how global economy are interconnected both during normal times and crisis times, the emphasis could be drawn more on the interconnectedness between US and Canada. For example, in the “Understanding the Fed” or “Interconnected economy” chapter, the book could use exchange rate and interest rate equilibrium model to tell how Bank of Canada should respond to decreasing interest rate in US, its consequence in terms of net export, especially because Canada is an export-oriented economy which relies largely on the demand from US economy. Same could be discussed when it comes to labor market. In the context of Canada and US, labour is pretty mobile compared with other country pairs, thus examples could be provided in the “labour market” chapter comparing unemployment consequence when labour are either mobile or not. Lastly, if possible, the author could extend the series of data to more recent one, since after final publishing, data up to 2010 would be pretty outdated. The textbook is designed as a series of topics on major economic themes. It covers all of the obvious areas of study, however, the layout and flow is unconventional. The authors focus on the use of economics - as the title suggests - rather than present a series of macroeconomic concepts in the usual order. The textbook looks at a selection of economic terms such as GDP or money, and relates them to situations in which students are familiar. The text focuses is on what we see around us and in the news, and builds the economic concept from there. The textbook contains first year material, but it enters right into the content and assumes some knowledge of microeconomics. The examples are clear and well-illustrated. I couldn’t see an index or a glossary although each chapter has ‘key take-aways’. Each chapter also has a number of student exercises although there are no solutions to questions for the student in the textbook itself. The final chapter is a toolkit which contains more detail of concepts/math used throughout the textbook and where they are used. The content is accurate. There are a few minor spelling typos but not that impact on the reading of the text. The charts are particularly good. There is no economic theory bias and the concepts are explained in an open-minded manner. There are many up to date illustrations and examples, and the overall tone of the textbook feels very current. For example, the chapter on globalization is very current. There is also good use of international examples. Updates should be relatively straightforward. The textbook is designed for US students and for the textbook to really work for Canadian students, more Canadian input would be required. For example, the chapter on income tax focuses on the US system. The text is well-written but it does assume some basic knowledge of economics. Some microeconomic concepts, such as supply and demand, are explained within the context of macroeconomics. Although not intended to be this way, some of the explanations were overly complex. However, the language is clear, and there are regular review tables to revisit terms and concepts. Often, however, the language is quite chatty, especially when relating a concept to real life. Economics is by its very nature a jargon-filled subject, but the authors make it as accessible as possible with content such as the end of chapter web links. 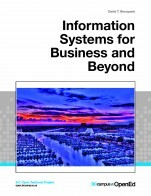 In addition, the authors include links to other chapters in the textbook for supporting information. Terminology is consistent throughout. Due to the presentation and style of the textbook, an understanding of key terms is not built up over chapters. However, each chapter is clear on relevant terminology. The textbook is modular and faculty could easily pick and choose chapters to include or not in a course. Even within chapters there are clearly defined sections. There are not too many lengthy blocks of text, and each concept is broken down into smaller parts each with its own subsections and examples. Its layout means that the chapters could easily be reorganized. Each individual chapter is well organized, and within each chapter, the sections and subsections are logical and tend to flow well. The chapters overall do not flow so well. There does not appear to be a logical progression through the textbook. Although most key macroeconomics concepts are covered, each chapter should be viewed as a stand-alone collection of information. 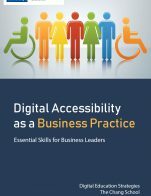 There are links within each chapter to content in websites, and to other chapters, which are helpful. Charts and tables are large, clear and easy to follow. The use of colours and highlighting is helpful. The web links tested all worked well. There were a few typos but no obvious grammatical errors. There is heavy reliance on US policy and data, for example the chapter on income tax. However, there is a good range of international examples throughout, such as an examination of the unemployment rate in Argentina. Therefore, authors do use a variety of economies to illustrate some concepts. The text is not culturally insensitive in any way and there is a good range of examples, although it is dependent on the US for the majority of policy explanation. This textbook would be an excellent companion to a conventional macroeconomics textbook. The chatty nature and the good use of real life examples is great, I just feel more structure would be required for an introductory macroeconomics class. A Canadian edition would be fantastic! If this is not feasible, then some Canadian input for some of the chapters would be particularly useful.